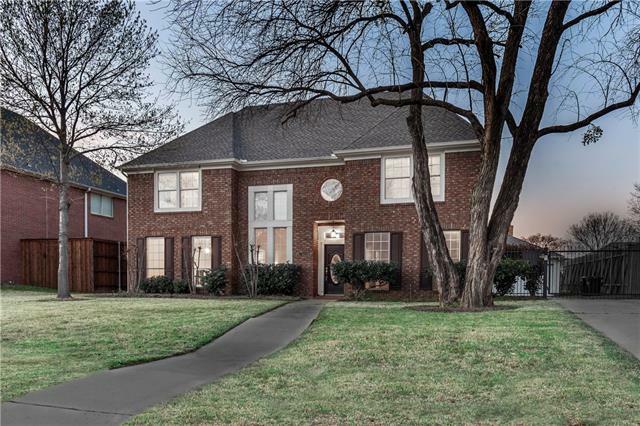 All Briarhill Estates homes currently listed for sale in Highland Village as of 04/21/2019 are shown below. You can change the search criteria at any time by pressing the 'Change Search' button below. "Updated 4 BR, 3.5 Bath home w pool-spa in Highland Village! 2-story Foyer w wood floors extending to Living,Dining & Family Rm. Large Island Kitchen has updated tile flrs, SS appls, granite & wlkin pantry. Ktchn opens to big bright Brkfst Rm & spacious Family Rm w FP & views of pool-patio. 4 BRs & 3 full baths upstrs. Huge Master Suite w Sitting Area & luxe bath w views out to pool-patio! Every BR has walk-in closet! Lots of extra closet storage! Fun flex 3rd flr GameRm can be art studio, exerci"